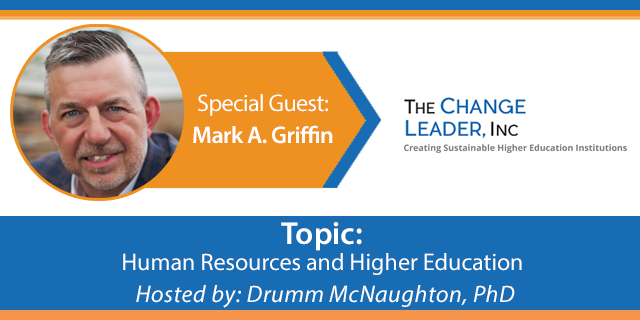 Enjoy listening to Guest Mark A. Griffin discuss “Human Resources and Higher Education” with host Drumm McNaughton, PhD. Have iTunes? Podcast available through iTunes. The Change Leader Inc. creates sustainable organizations that meet the needs of the 21st century students andemployers while implementing change in way that enables them to remain true to the history and values that made them successful. About Mark: With over 20 years of Human Resources experience at both fortune (Kodak, Quaker Oats, and Merck) as well as small and mid-sized companies, Mark has seen it all.